Spite Marriage was Buster Keaton’s final silent film, but nowhere near the last film he appeared in. He would go on to star in several sound features for MGM (with whom he’d signed to produce Spite Marriage, and one previous silent film, The Cameraman). Later, the studio teamed him with Jimmy Durante. Later still, he appeared in short comedies for Columbia Pictures, under the thumb of Jules White, director of the Three Stooges. This period, beginning with the end of the silent era and ending with the beginning of the television era, chronicles the steep downward slide of Buster Keaton. The MGM deal meant money, but also loss of creative control. All the studio wanted was Keaton’s talent, and it was prepared to squeeze whatever juice it could out of its faltering star, while sticking, risk-free, to formulas that already worked. Spite Marriage, then, shows us an aging genius in transition—forced, by his own poor choices, to play by the rules of uninspired men. We see vestiges of the old Buster bloom then wither suddenly in the course of 80 minutes of otherwise standard farce, portending the average-to-brutal sound comedies to come. The film is an oddity, with much to enjoy, but never for long. Let’s begin with Elmer, a typically hapless Keaton character. Like many Keaton roles, Elmer’s is that of a simple, earnest man with a tendency toward obsession, and an inability to recognize it. He is a dry cleaner, more or less; poor, but willing to fake wealth by wearing the expensive suits and tuxedos he cleans as though they were his own. This is an unethical habit, and if Elmer were so inclined, it could make him a very dangerous, manipulative man. 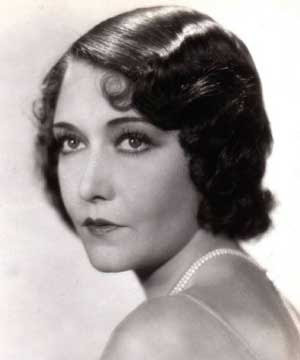 However, because he possesses the tunnel-vision of a Keaton lead, tempered with a basic moral core, Elmer uses his false identity only for the purpose of wooing a girl: Trilby Drew (Dorothy Sebastian). Trilby is the female lead in a smash-hit theatre production; a Civil War-era pot-boiler, in which she plays the Southern belle-made-prey opposite a rapacious crew of Yankee soldiers. Elmer knows her part—and everyone else’s—by heart, having attended more than 30 performances, always dressed in someone else’s finery. Trilby has noticed this apparently wealthy man in her audience, but she has eyes only for her co-star, the arrogant ‘Lionel Benmore’ (Edward Earle). Lately, Lionel’s been flirting with a lovely society girl, and Trilby doesn’t like it. Lionel appeals to her reason: “Can I help it if I’m good-looking?” he asks her. Unlikely events soon lead Elmer to take a role in the production (though Trilby is unaware of it, since he’s hidden under a bushel of badly-applied, nineteenth-century-style whiskers). This, predictably, leads to disaster both on the stage and behind it, and we’re reminded, perhaps, of Keaton’s more tightly-packed 1921 vaudeville spoof, The Playhouse. Elmer manages to return to his own role of phony millionaire without Trilby catching on. And this ruse, plus Lionel’s blooming affair with the society girl, plus Elmer’s sheer proximity to the theatre, soon causes Trilby to snap. She marries Elmer on a whim, just to stick it in Lionel’s craw. What a wonderfully nasty piece of work Trilby Drew is, and how Spite Marriage squanders her. Sebastian’s prettiness is perfect for the part, because it possesses not a spark of warmth; there’s no generosity or excess in that skinny frame or pinched bud of a mouth. She’s a mean, entitled princess, and following her nuptials to the simple, smitten Elmer, we sit back and wait to see this marriage blow up. It ought to be good comedy. But it’s over so soon! Yeah, we have an extended sequence (the film’s best) of Elmer taking a drunken and depressed Trilby to a nightclub (on her money, presumably), followed by the farce of puny husband trying to get blacked-out wife into bed. Here’s the clip. The next morning, though, we cut straight to a scene of Trilby, flanked by her morose manager and Lionel, being told about the devastating effect this kind of PR could have on her. Getting married is not the problem—what looks bad is getting married to a nobody. They want her divorced and she readily agrees. I’m conflicted. On one hand, you feel like you can’t complain, since Trilby really would find Elmer out right away, and how often are comedies criticized for drifting too far from believability? Further, the effect of a quick divorce on the Trilby-obsessed Elmer could have led Keaton in several interesting directions. On the other hand, we’re giving up the potential of a clothes-hopping, inveterate liar wedded to a bed-hopping diva who lies just as much—the very spite marriage the title describes. That’s a lot to give up, considering what Keaton could have made of it. That’s always what made Keaton’s films shine—his capacity to view the simplest scenarios as pregnant with possibility. This is a man, after all, who placed one train after another on the same piece of track and turned it into one of the greatest chases of all time, encompassing nearly all of The General (1926), one of the greatest movies ever made. Spite Marriage happily discards it all. Elmer, depressed and bitter, ends up as a deck swab on a yacht, where he’s eventually joined by both Trilby and a slew of pirates. The gags that follow are basic slapstick mechanics, worthy of Keaton’s stunt-double (MGM assigned him one), but not the master. Keaton fans, like me, will again recall his better work: in this case, The Navigator (1924), which turned a derelict ship into a labyrinth on the waves. Even the ending of Spite Marriage rings hollow, in that it’s too nice. Keaton was a cynical comic: when he got the girl, it was usually after a series of trials that girl should never have put him through to begin with. He knew even true love remained imperfect. And, as he reminded us in College (1927), ‘happily ever after’ depends on when you stop telling the story. By 1929, Keaton was living that lesson. TCM’s The Buster Keaton Collection is a two-disc set featuring The Cameraman (1928), Spite Marriage and Keaton’s first sound picture, Free and Easy (1930). Also included is a documentary, So Funny It Hurts: Buster Keaton at MGM. All of this sounds good, although I’ll admit I haven’t seen it; my copy of Spite Marriage is from an old VHS tape. Silent Volume has featured several other Buster Keaton films. Have a look at The Playhouse (1921), Sherlock, Jr. (1924), College (1927), and Coney Island (1917), in which Keaton played a supporting role opposite one of his mentors, Fatty Arbuckle. Thanks for the (several)compliments, Jen. I'm glad you enjoy the blog, as I enjoy yours, too. To answer your question from elsewhere, you can feel free to pass along a link to Silent Volume to anyone you think might be interested. That's what it's all about. I have watched this movie. It was just amazing. I recommend to watch this movie once. I wont get a movie with such a strong story line nowdays. This is an unethical habit, and if Elmer were so inclined, it could make him a very dangerous, manipulative man. 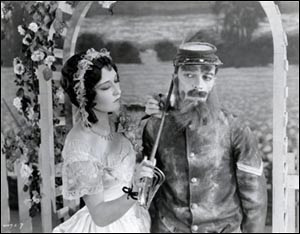 Spite Marriage was Buster Keaton’s final silent film, but nowhere near the last film he appeared in.